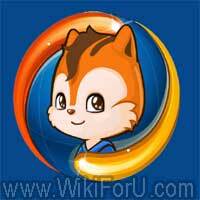 UC Browser is one of the most popular mobile web browsers in Mobile Browser market. This browser have very good features. Although, Opera Mini and Opera Mobile are good browsers for mobile but UC browser is also very famous and useful browser today. Sometimes, when you want to install this browser on your phone, you can't find a link for direct download. Here, the direct download links for various mobile platforms such as Java, Symbian and Android are given. You have to download APK file if you are using Android phone and can choose JAR file if you are using Java enabled mobile phone. You need to click on the required link and your download will start. Happy Browsing...Feel free to comment if you face any problem.